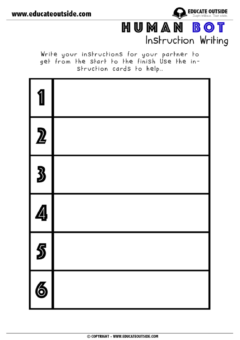 This activity can be used as a quick starter (for older children) or as a whole lesson for the younger ones. 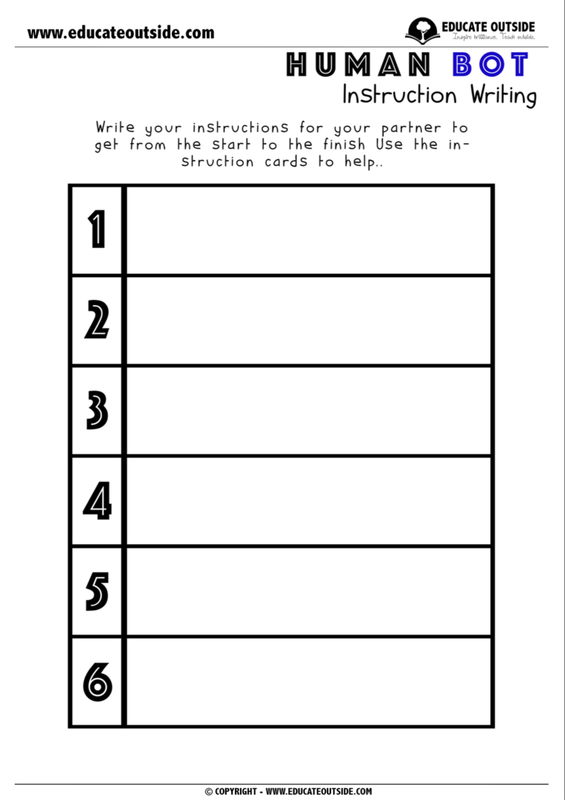 Your class will create a set of instructions by choosing the correct cards to get their partner from the start to the finish. This activity can be great fun in a wooded area where there are lots of obstacles! This is also a great cross-curricular link if you are teaching angles in your math lessons. 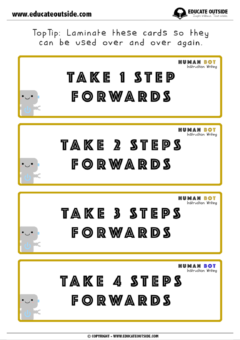 A set of distance instruction cards ('one step forward' etc.). 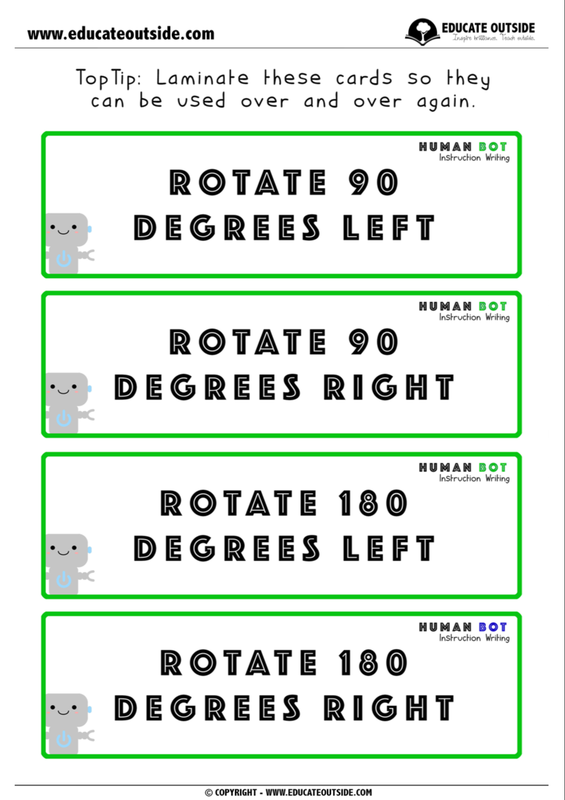 A set of fractions instruction cards ('rotate half a turn right etc.). 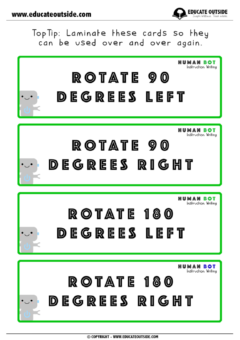 A set of degrees instruction cards ('rotate 90 degrees left' etc. ).